Ensuring that our friends and colleagues who are legal residents of the United States of America, and those suffering under oppressive regimes who heard the promise of the Mother of Exiles and chose to find a better life in our country, can still trust us with the privilege to fulfill that promise. Rejecting the triumph of cruelty. Also, these incredible thousand-year-old windmills, still in use today, milling grain in Iran. Politely optimistic: What do the Canadian election results mean for ocean science and conservation? Julia Whidden completed her Masters in Biology with a focus on marine conservation from Acadia University in Nova Scotia, Canada, in 2015. 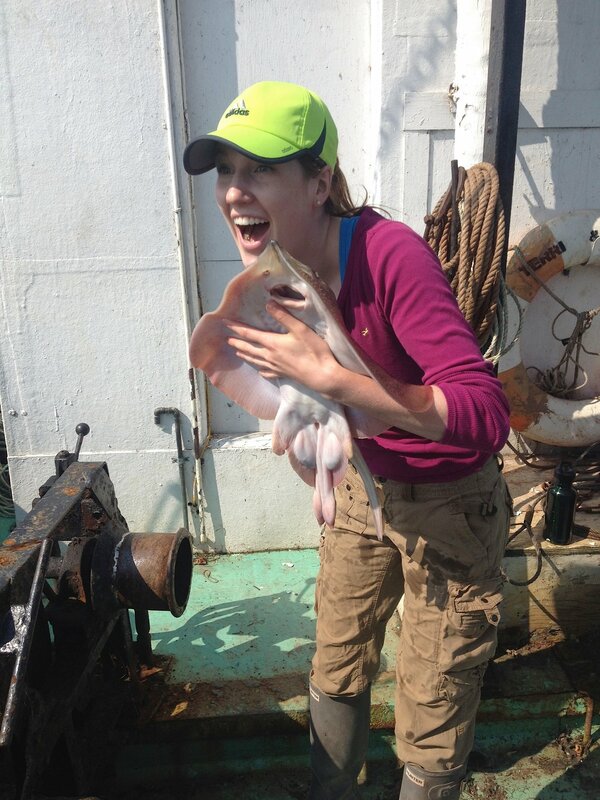 Her project evaluated population demographics and species identification of two at-risk species of skate in the inner Bay of Fundy. She joins Dr. Neil Hammerschlag’s lab at the University of Miami for the year as a Fulbright Student and shark research intern. Follow her on twitter! Rachel Skubel graduated with an M.Sc. in Environmental Science from McMaster University where she studied climate impacts on water cycling in temperate forests, and a B.Sc. from the University of Western Ontario. Her current research interests revolve around how oceanic predators will be impacted by anthropogenic environmental changes. She is a currently a shark research intern with Dr. Neil Hammerschlag’s lab at the University of Miami. Follow her on twitter! Up until this past year, the thought of Canadian politics had probably never crossed your mind. For some of you, your introduction to the topic may have been via the astute criticisms of John Oliver published this past weekend. His YouTube video currently skyrocketing at just under 3 million views in less than 48 hours, may have even been the introduction to Canadian politics for some Canadians. Let’s face it: in comparison to the flashy and sometimes trashy race of our neighbors to the south (ahem, you Americans), Canadian politics are usually tame, boring, and dry. In 2011, our last major election, 61.1% of Canadians voted (14.8 million), but up until the election last night, at least 68.5% have actively contributed to changing the dire political and environmental landscape formed by Prime Minister Stephen Harper and his Conservative cronies over the past 10 years. This voter turnout is the highest since 1993, and certainly demonstrates that – not unlike your defeat of Republicans following the Bush years – Canadians were ready for change. To our newly elected Prime Minister Justin Trudeau, we say welcome and we’re ready for action. In this week’s edition of Shark Science Monday, Aurelie Godin discusses Canada’s shark management policies. If you have a question for Aurelie, please leave it as a comment below and I’ll make sure that she gets it.